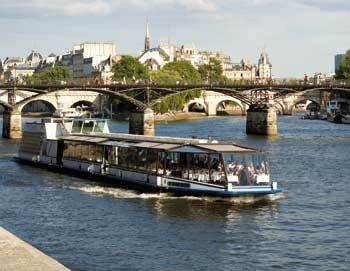 Enjoy a lovely dinner at the 1st floor of The Eiffel Tower in Paris, followed by a scenic evening cruise down the Seine. This tour starts in central Paris, where a bus will take you to Restaurant 58 Tour Eiffel located on the 1st floor of the Eiffel Tower. Restaurant 58 Tour Eiffel has a incredible panoramic view over Paris. With the restaurant's new design and lovely French food, everything is set for a perfect Parisian night out! After a pleasant dinner at Restaurant 58 Eiffel Tower, you'll continue your evening with a relaxing cruise along the Seine, where you'll see all the popular sights along the river lit up at night. 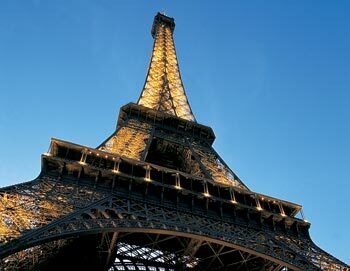 You might also like our Eiffel Tower Dinner, Cruise and Moulin Rouge tour option. Shortly after your booking is complete your e-ticket will be send directly to your email, just print it out and bring it on your tour. 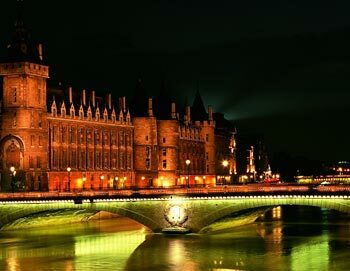 The tour starts at our agent PARISCityVISION's office close to the Louvre Museum. The address will be on your e-ticket. Please be there at least 20 minutes before the tour starts. The tour ends at the Eiffel Tower. Yes, the dress code is casual and business casual. Tie, suits or dress are optional. Jeans, shorts, sneakers are not permitted. No, this tour does not offer children's tickets.